Recently departed Athlone Town manager Aaron Callaghan has been hit with a six-month ban from football after the FAI found him in breach of five rules following a post-match incident. 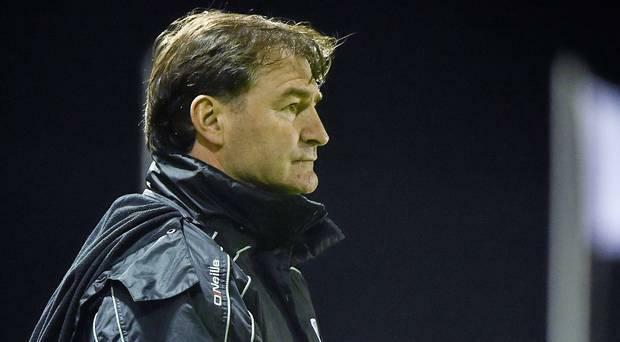 Callaghan, who yesterday resigned as Athlone manager, was found to have 'ignored FAI rules restricting him from entering the dressing room area', while serving a two-match ban. Callaghan's behaviour was, according to the FAI, 'both offensive and intimidating towards match officials'. Callaghan had been in charge of Athlone for just five months, but departed his post after his team weren't given adequate warm-up gear or a physio for Monday's game against Shelbourne, which he branded the 'last straw'.